Social network sites rule the world. That statement is the truth nowadays and it will be in the future. The world belongs to the social media network. People evolved and changed by accepting technology as a tool that allows unconditional freedom of expression and connection with diverse communities. Ning allows you to create your personal domain, that will work out well in the long run. The market is in great need for new social media platforms even though there are many available choices out there. In the past, developing your own social media network required a lot of work and dedication. The CEO’s of Facebook and Twitter know that building social media a few years ago was expensive and time-consuming experience. Times have changed. Nowadays, on the market, you can find social media platforms that can build social media websites in a fast and inexpensive way. Ning even has drag and drop network editor and design studio and having a technical background is really unnecessary. Creating your own social network is not a demanding task, however, there are certain things you need to consider before you go live. A good domain is the most important part of a certain social media channel. In fact, is the most important part of any website. It seems like all of the good domain names are already taken as people are battling online to find the right one. Today we have over 220 million domains in the world. The massive increase of domain users over the years is due to the fact that domain names are cheap. Domain registration usually costs between $7-$35 per year. Back in the 90s for two-year registration people were billed $79. Today the issue is the availability of the right domain. But there is a solution for everything you just need the right tools and tips to know where to find it. We have compiled a list of four steps that you need to follow to get the perfect domain for your own social network. Consider these numbers before you compose your domain. Creating your own social network domain can be a different experience for everyone.Take a look at DIYDrones – they used the keyword “drones” in their domain, the word that is very popular across the Internet. Not every industry has to use personal domain names. Sometimes the best way to present your business is to use relatable keywords. Try using keywords that describe the services you offer. For instance, if you are a hostel, you should register GoodHostel.com, incorporating the main keyword in it. The keyword strategy can affect your ranking in Google. Higher ranking increases traffic, which means that you will have higher conversion rate at the end of the day. Stay away from domains that might be considered keyword – targeted, such as best – body – paints.com. While these types of domains once were boosting the ranking, in the present they are associated with low – quality content. Search engines may now view these keywords – dense domain names with a negative bias. Having a keyword in your domain can still be beneficial, but might sometimes lead to negative ranking effect from search engines. You need to be very careful with combining keywords for your domain name. Moz has conducted in depth analysis about it. In their article, they offer multiple solutions and suggestions based on reliable research. The effective domain name needs to be short. A great example can be “ThisIs50” network. They used one of the most famous songs of a rap god, and turned it into a short eye-catching domain. As typing speed is increased over the years, the possibility of a mistyped domain if you choose a long and complex name is high. What is the average Domain Name Length? According to Verisign, half of the domain names or 10 percent of daily.com registrations have five to six characters. However, the most common length related to .com registrations is 12 – 13 characters and usually has two words. The maximum number of characters you can have in a domain is 63. However, the effectiveness of long name is none. 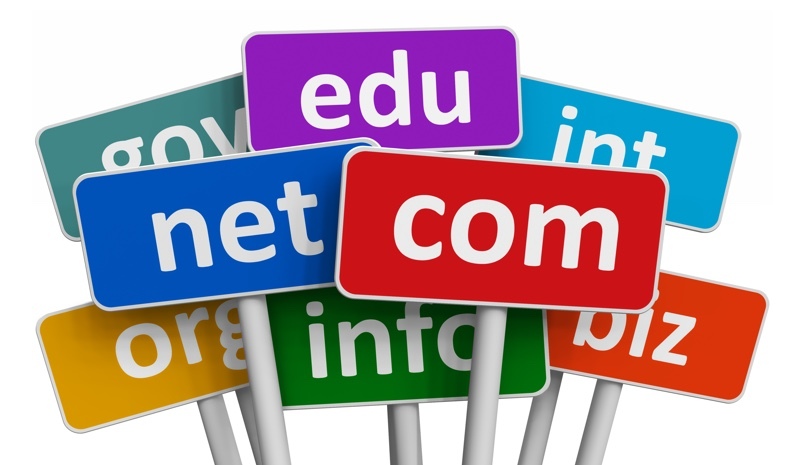 Domain extensions are defined as suffixes at the end of the web address. Extensions have specific functions, and you need to make sure it really suits your business. The most popular extension is the .com one but it’s very hard to find available domain name because it’s used by almost everyone. Co: an abbreviation for company, commerce, and community. .net: technical, Internet infrastructure sites. .org: non-commercial organizations and non-profits. .biz: business or commercial use, like e-commerce sites. .me: blogs, resumes or personal sites. Create your own social network domain that will include an extension that is related to your business. It’s all about finding the perfect match. Ok, let’s start create a website on the Ning. An easier way to find suitable domain name is to use online social network platform for building your social media site. As we mentioned, they offer easy and fast solutions and you don’t need to have a certain expertise to use them. For example, if you’d like to have your social network on Ning appear under your own domain name, it’s easy to set up. You can purchase the premium service to “Use your own domain name” from the Manage tab on your social network. On the “Premium Services” button you can set up your domain so that your social network on Ning appears under it. It’s easy to do. Benefits like a special promotion from GoDaddy are available too. Consider your social media network needs and find out what method will suit you the best. The importance of the good domain name is huge since it will affect the performance and the success of your social media site. Go for the simple, personal solution that will make you stand out on the market and have the greatest impact among your target audience. Approach the creation of the name with a practical and consistent idea. 🙂 UPDATED. This post has been updated and amended due to the recent Ning’s news and trends. Feel free to contact us if you want to add something or share your thoughts in the comments! Natalie - digital marketing geek with narrow specialization in community building. She writes about social media, growth hacking, followers, community engagement and much more. Stay tuned! You might want to share your question on the Creators Ning Network. We also have a Help Center that has a lot of informative articles about this. Can you tell me how much money for created new domain name. so how to the purchase now domain name. ¿How can gets your help to use my domain and ning, but with an other price more easy? I agree, Marcelo, they should reconsider that price, it should be free. I have a domain, but can’t even use it, because of Ning’s price. Maybe one day that will be resolved. That is very expensive indeed. Besides paying $ 10.00/year for a domain we still have to pay $5/month ($60/year). At WordPress and Blogger one can have his own domain for just $15/year. That’s right – you’ll need to purchase your domain from your chosen registrar (like GoDaddy or Yahoo Domains) and then purchase the domain premium service for $5/month from Ning. I have a question. So you buy the domain, and then you have to pay $5 extra here on Ning?